After I snapped this quick my wife and I put away our phones away and danced together while Dierks played Say You Do. Between verses he pointed through all the other phones right at us and nodded. It was awesome. 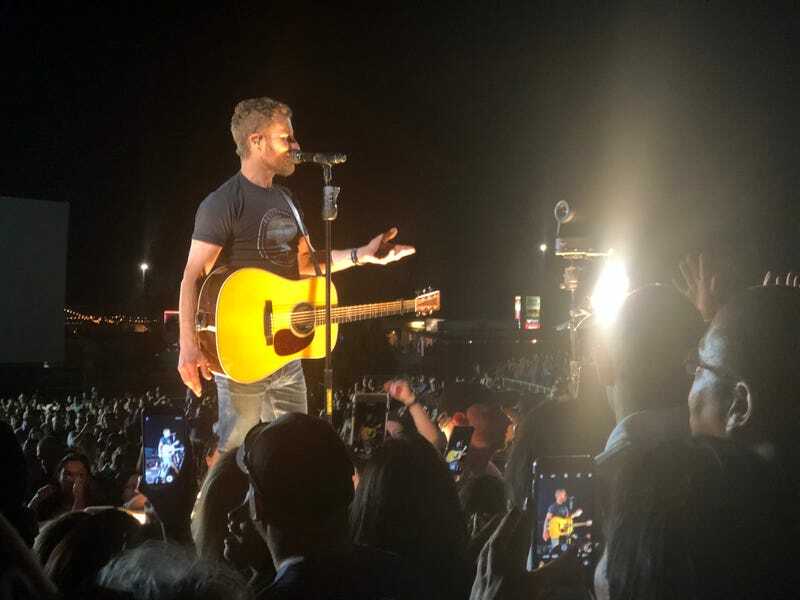 My wife and I went to see Dierks Bentley in at Isleta Amphitheatre tonight. We had seats halfway up the second tier a good ways from the stage. Halfway through the set he came up to a platform 10 feet from us and played 2 songs. Wow. Anyway amazing show. Highly recommend seeing him no matter how far away the tickets are.